Marlboro NJ Roofing Contractor – Do You Have Proper Attic Ventilation? Check your roof and eaves for vents. There are many different kinds, some less visible than others. 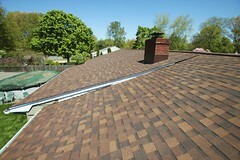 If you’re lacking vents or at least can’t spot any, you should contact a Marlboro roofing Contractor to install some. On a hot day, put your hand to the ceiling. If it’s hot, then that means your attic is even hotter, like a sauna. 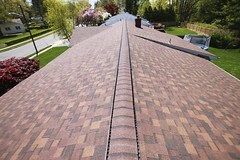 All of that trapped hot air is making cooling expenses rise and putting much wear and tear on your shingles. Look for ice ridges on your roof or eaves. The warm air trapped in your attic melts snow on your roof and then the water refreezes as it flows down towards the eaves. This is what causes ice dams. Look for frost or dampness in your attic during the winter. If your Marlboro NJ home isn’t ventilated well enough, then moisture in the warm air carried up to your attic is trapped and condensation will take its course on your roof deck. 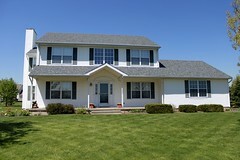 Biondo Contracting is a Marlboro NJ roofing company that also does siding and vent installations all over Central NJ. For over 30 Years, they’ve been serving people in towns such as Colts Neck, Freehold, Manalapan, Marlboro, Red Bank, Wall, Aberdeen, Eatontown, Middletown, Point Pleasant, and many more! 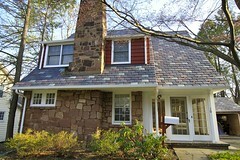 Call Today for a Marlboro free roofing estimate.